Pollipops: Look at me! Look at me! I’m special! A Canadian Model, Melynda Moon has just paid a little over $400 bucks to transform her ‘normal’ ears to pointed elf-like ones. What a deal! Only $400 dollars to have your ears look pointy!! This reminded me of one of my favourite stories of 2012, the bagel head trend in Japan. 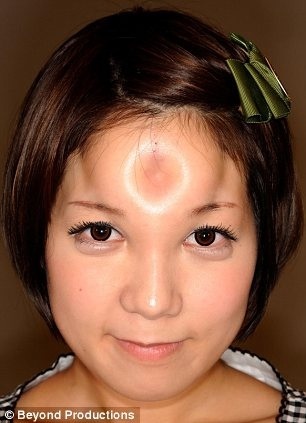 For this body modification, people have saline pumped under their forehead skin for up to two hours, forming a big ball. It’s tough watching this procedure happen as their foreheads look ridiculously swollen like they were attacked by a swarm of bees. But it’s all worth it after the ‘doctor’ pushes his thumb down in the middle of the mountain creating a forehead that looks as if there is a tyre on their forehead. So cute!! It looks like a delicious bagel, or an extra bum hole depending on your angle. 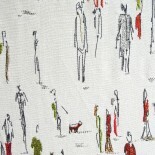 Others go the route of tattoos, piercings, horns and large holes in search of standing out. I’m not saying that the only reason people get piercings or tattoos is to stand out. But, when someone places a circular window under their bottom lip, displaying their teeth to the world, I don’t think it’s in memory of their great aunt Hilda. And there are easier reminders to keep up your dental hygiene. So, how do you stand out? What makes you unique? And what’s your take on why people do such things? Are they talentless? Hope you had a great Christmas break! Now get out and enjoy the weekend! My next couple of blogs will be coming from Tokyo, where I’ll hopefully bump into my own bagel head. Wish me luck! but usually folks don’t discuss such subjects. It’s been a big issue now, for this makes the third year. according to the Mushroom Appreciation website. mushrooms can be grown for a profit. Oyster mushrooms will produce well in temperatures ranging between 16C – 20C. This entry was posted on December 27, 2013 by theguestroom in Pollipops and tagged Bagel head, Body modification, Christma, Hong Kong, Japan, Moon, Tokyo, United States.